If you haven't heard already, British Airways recently had a bit of a scandal with bed bugs. 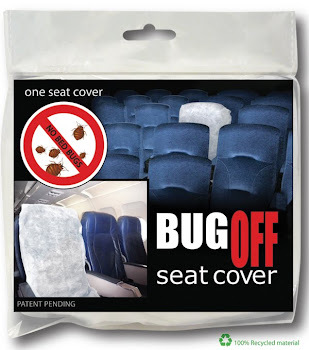 One young lady got bit over 90 times on two flights, and after an investigation, the airline grounded two jets to fumigate and clean.Bug Off seat covers (http://www.bugoffseatcover.com/) are the must-have travel accessory for any jet-setter – or family taking a vacation or trip to the movie theater! 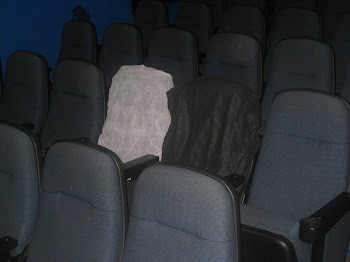 With the scare of Bed Bugs creeping up on air line, bus seats, and movie theaters these simple seat covers provide a barrier between you and your clothing from the public seating. 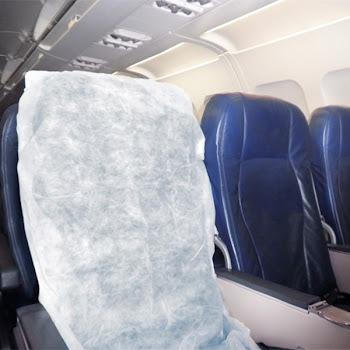 The Bug Off seat cover will ensure these nasty bugs don’t come in contact with your clothes or skin, and prevent you from carrying them back to your own home. These seat covers are made from 100% recycled polypropylene and can be easily thrown into your purse, travel/weekend bag, or the diaper bag. The seat covers are only $2.99 and are available on BedBathBeyond.com. Amazon.com, and more! They are a simple, inexpensive way to protect yourself from bed bugs and other germs while traveling! TWO lucky Party of 5 readers will win their very own BugOff Seat protector.